In a hype-obsessed world, where everything is ‘awesome’ or ‘special’, everyone who displays a speck of talent a ‘star’, and even weather and paying bills are talked up (think ‘rain events’, ‘banking experiences’), I like the everyday, the ordinary. I don’t want ‘uplifting’ social media aphorisms telling us we are fabulous, or impossibly witty and exotic-looking advertisements reminding us we are all unique, extraordinary individuals – we’re not – who should be living inspirational ‘lifestyles’ instead of reasonable lives. And the modern social media compulsion to self-promote, seek congratulations, elicit compliments for ourselves and our children just feels sad. Here’s another picture of me in front of some spectacular landscape, historical building, next to some famous person. Here’s me doing something wacky. Look at me, look at me. What about my new profile picture? You look gorgeous darling. Look at how interesting, beautiful, quirky, and/or intelligent my kids are in this picture. Is this just subconscious recognition, given a platform for release by Facebook, Instagram and others, that we are all just insignificant little specks in the universe, tiny unremarkable grains of sand absolutely anonymous and unnoticeable on the beach of humanity? That we all know we are a bunch of ants running around passing each other, touching feelers on our way to the next little task in our little lives? Little lives are actually fine. People and things that go about their business, perform their function without boasting or praise or attention. It doesn’t mean they’re uninteresting or their experiences are less. 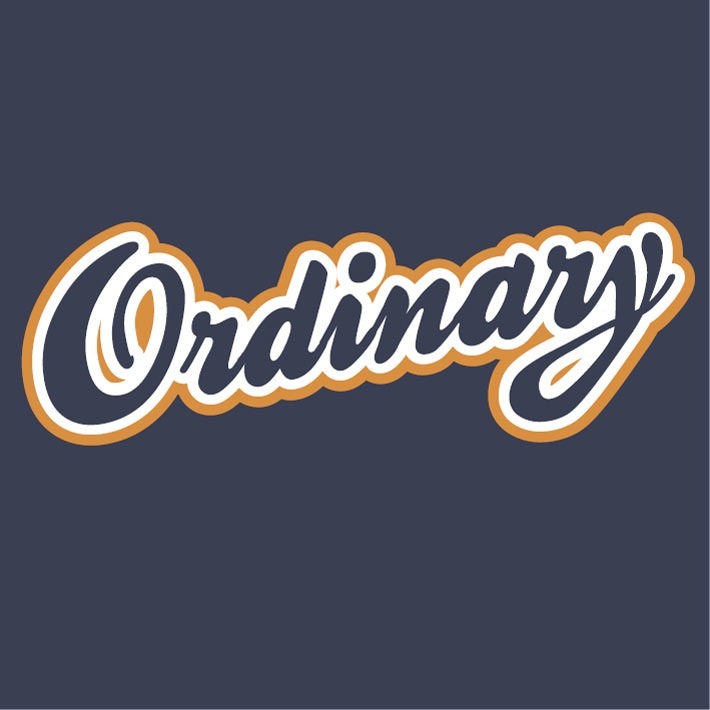 I’m a linguist of sorts and I know language changes, but I don’t remember exactly when the word ‘ordinary’ took on a negative connotation. For the word to have a pejorative meaning it used to require a qualifier, as in, ‘that’s a very, decidedly ordinary, trait, action etc’. Now ordinary almost always means bad or mediocre. Not to me. I have a little tattoo on my shoulder of two symbols in Kanji – wabi sabi, a concept encompassing the beauty in the fact that everything is imperfect, impermanent, and incomplete – to remind me to enjoy how lovely things, people and lives that are simple, out-of-kilter, modest and humble can be. We’re not perfect, and we certainly don’t last – and there’s nothing wrong with that. Why not embrace our ordinariness, the beauty in it? And then just get on with our lives; they don’t have to be extraordinary, different, or viewed/liked by masses to be meaningful. Tomorrow I will get up and have an unexceptional but tasty breakfast, put on my commonplace clothes, walk the dog along a path many other people walk their dogs along, pay some bills everyone else has to pay. I will enjoy parts of it, others not so. It will be an ordinary day. Design influenced by literature, language, art, and studying the way people think and interact with each other and the world. And dogs. We acknowledge the Dja Dja Wurrung people as Traditional Owners of the land on which we live and work. We pay our respects to them and to their Elders past, present and emerging. © Copyright 2018 Smith and Brown Design.